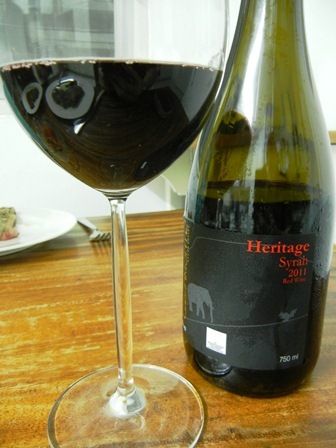 It was a hot Sunday in Bangkok, and I was longing for a fresh and refreshing wine. I went on a wine shopping tour to our local Wine Connection shop in Thonglor, just a 15 minutes walk away from my home. I browsed through the shelves and found a few white wines which matched my desire. One of them was a Sauvignon Blanc from Chile, a ‘2011 TerraMater Premium Vineyard SB’. This is a very solid wine, with pleasant aromas, lovely acidity and a reasonable finish. I also loved the golden colour of the wine. 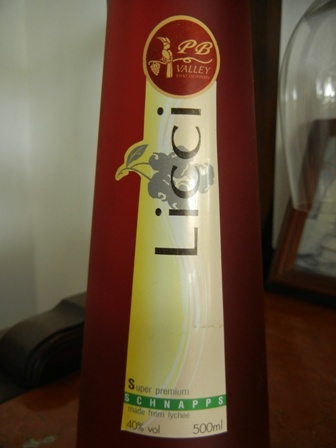 For a mass produced wine in this low price segment, this wine is value for money. I can only recommend it. 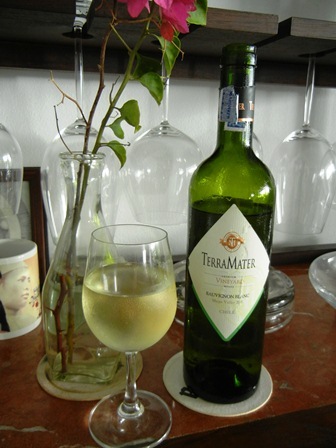 TerraMater is based on a family wine business going back to the 1930s. But in 1996 the three Canepa sisters (Gilda, Edda and Antonieta) reinvigorated their family enterprise through the construction of a new winery and the restructuring of their production portfolio. 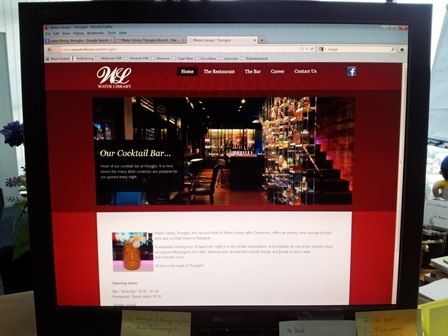 The visit of the company website makes you anxious for the premium range of TerraMater wines, especially the Carmenere and other reds. I wonder if Wine Connection does import some of them to Thailand. TerraMater also produce olive oil and apples. I was very pleased with my choice. 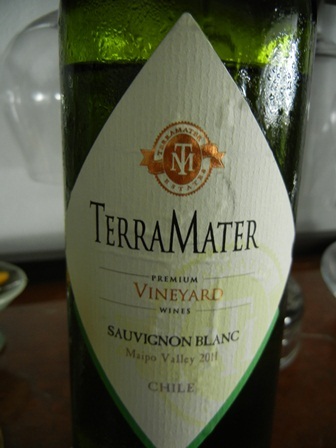 Sauvignon Blanc is one of my favourite whites anyway, and the Terra Mater SB from Chile fully satisfied my wine drinkers desires. 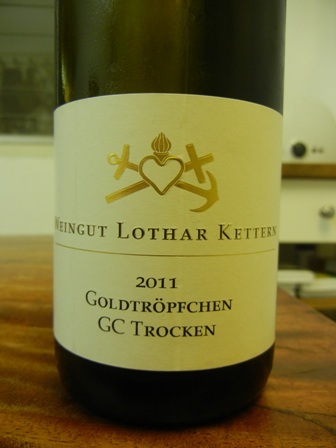 After a couple of weeks without a Riesling from my beloved Mosel, I came across a bottle of ‘2011 Goldtroepfchen Gran Crue’ by Weingut Lothar Kettner in Piesport, Mosel. 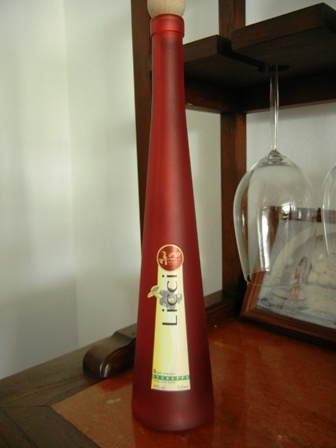 I had no idea where the bottle came from. I must have bought it in Bangkok, I thought. But right when I opened it, I knew it was what I needed to celebrate the New Years eve of the Chinese Year of the Snake, the spring festival, as it is also called. The golden colour is intriguing. The aromas are infatuating. Green apples and white stone fruit came to mind. A Riesling from the Mosel, a wine I adore. What wine would be better to prelude the New Year? 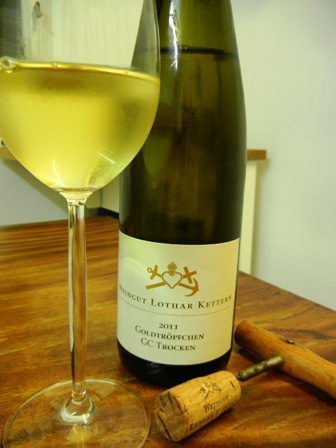 Faith – Love – Hope is the motto of the family winery Weingut Lothar Kettern in Piesport, Mosel. This is represented by the three symbols in the logo of the winery: the cross, the heart and the anchor. The vintner tradition runs in the family for about 200 years. The son of Lothar, Philipp Kettern, also know as ‘the wine pirate’ is now running the estate. 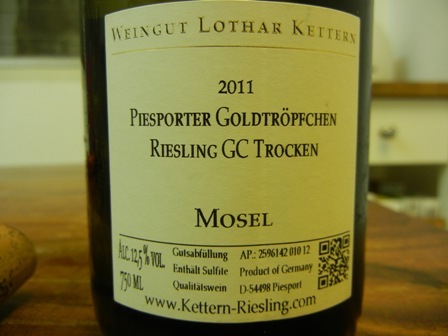 The Kettern family only grows Riesling grapes. Steep slopes, with cooler climate, are the preferred vineyard locations, so that vintage is late. Low yields, perfection regarding leave removal and environment friendly techniques are the key to success. The wines are hand crafted in the true sense of the word. I will have to see that with my own eyes, next time I visit my beloved Mosel. 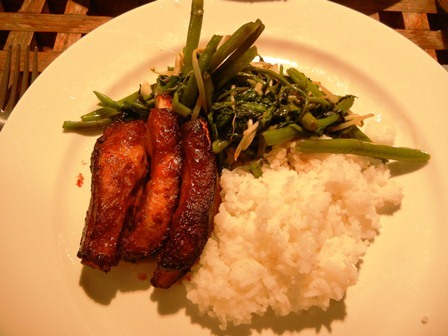 You are currently browsing the The Man from Mosel River blog archives for February, 2013.